We will be presenting at a bunch of development- and Python-related meetups over the next few months. Come and join us! We had a great response at London Python, and a lot of interest afterwards. We’ve already been invited back! Stefano Menci will be leading a hands-on workshop in St Louis. This is the Indianapolis pitch competition for PyCon Startup Row. Last year, we built the voting app for the competition, live on stage in London. This year, we’re giving a full-length talk. Meredydd Luff will be demonstrating Anvil, and talking about how it works under the hood. Meredydd will be demonstrating Anvil, and talking about how it works under the hood. Workshop time! Come and try Anvil yourself with friendly hands-on assistance. We’re already confirmed as sponsors for PyCon 2018 – find us in the exhibition hall, and meet up with other Anvil users. 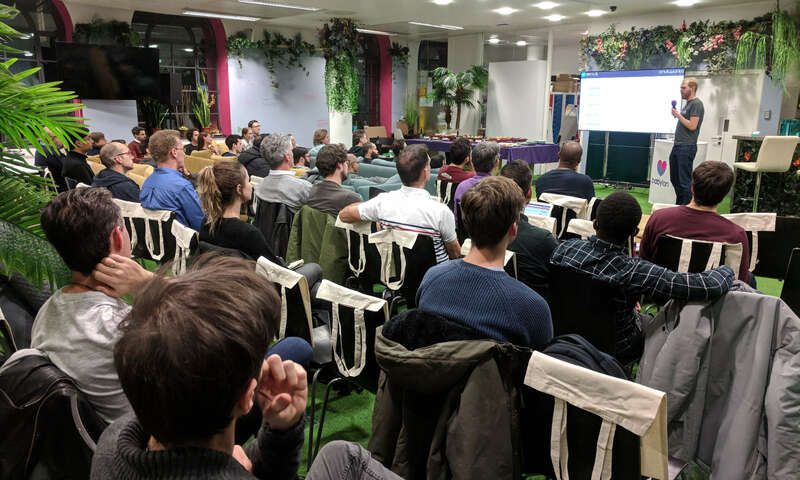 We’d love to present at your local Python, data science or development meetup – we do local or remote presentations all over the world. Drop us a line at events@anvil.works. We can also offer help and materials if you’d like to lead an Anvil workshop yourself - just get in touch.